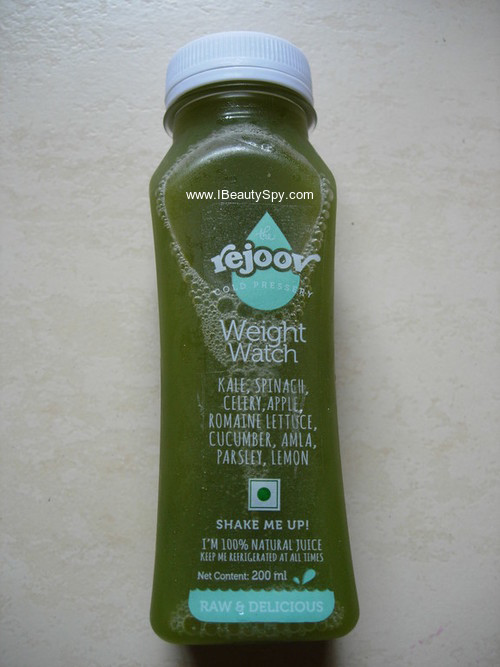 If you had read my previous post on Rejoov Cold Pressed Juices, you would know much I ranted about and loved them. 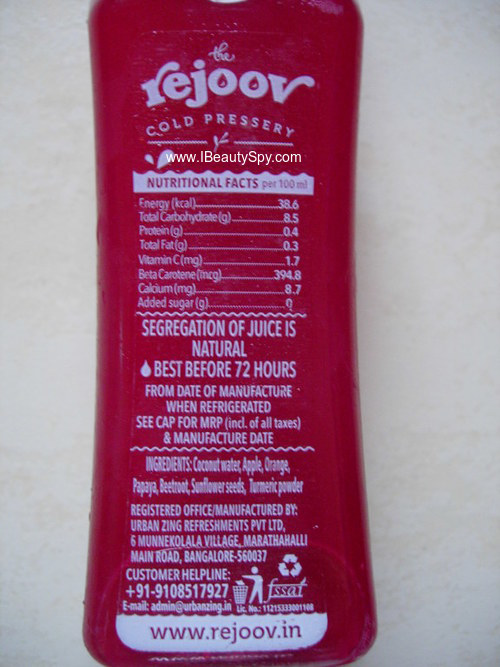 Today, I will review the four other variants of Rejoov. 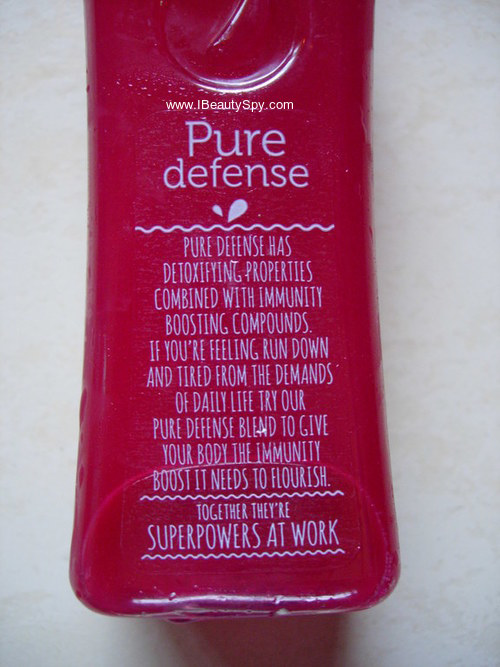 Pure Defense has detoxifying properties combined with immunity boosting compounds. If you are feeling run down and tired from the demands of daily life, the juice gives your body the immunity boost it needs to flourish. 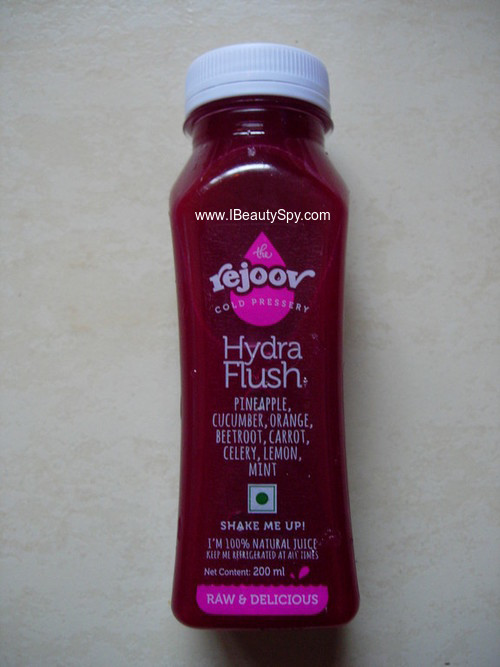 This juice has a little strong taste of beetroot and carrots, so it might not be liked by everybody. 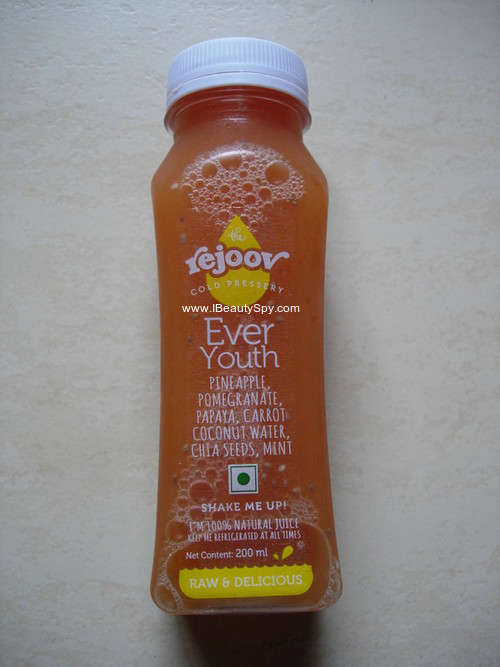 But then, Rejoov juices are not meant for taste. Its health. And I have always wanted to have beetroot/carrot juice made at home for boosting my immunity. But its a tedious process. Rejoov makes it easier. Being a beauty blogger, I have heard collagen component in anti-ageing creams. 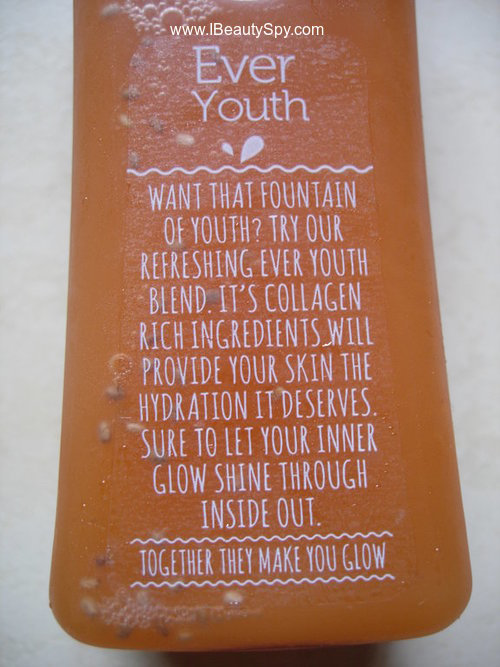 But this is the first time I am hearing a collagen-rich ingredients juice. 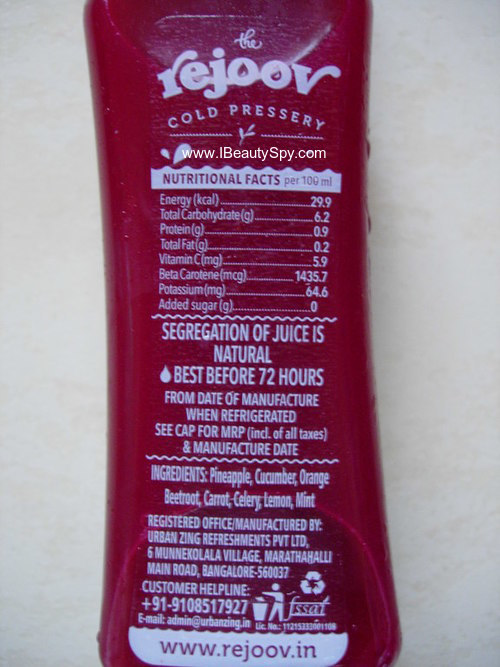 On googling, I saw that collagen is naturally available in some vegetables and fruits. This juice is a blend of such collagen-rich foods and it will provide your skin the hydration it deserves. Result, natural glowing skin from within. The best juicer helps me create refreshing and tasty drinks. 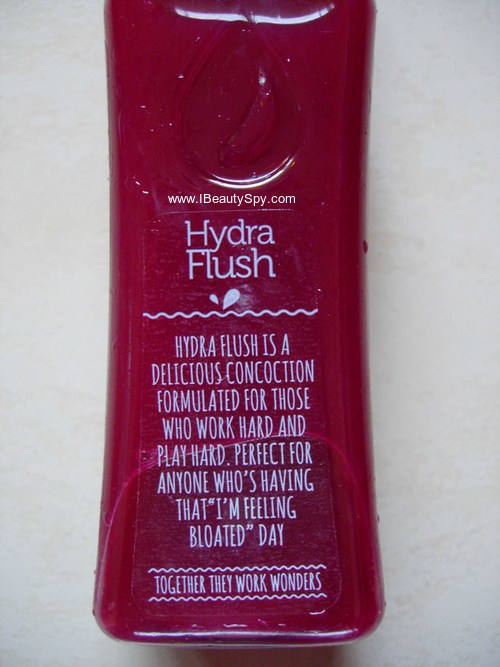 This is a special concoction made to relieve bloating. 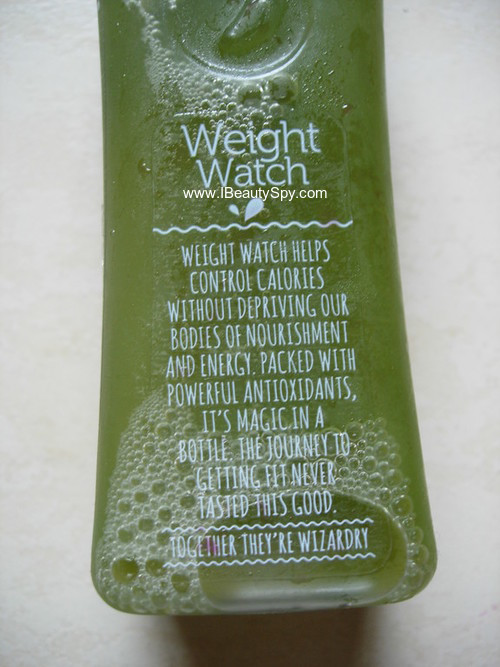 It tastes mainly of pineapple, lemon and mint along with a hint of cucumber. This is one of my favorite juices in the set. It contains only 19.7 calories but believe me, it makes you feel full for a long time and reduces cravings. Kale, spinach and celery are fibre-rich green foods and they help to satiate your hunger while providing necessary vitamins and minerals. 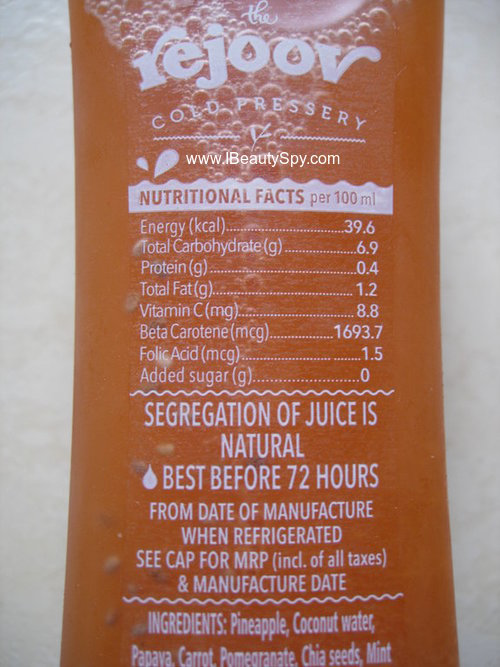 I would like to mention that all these juices contain good levels of beta-carotene (if you can see in the ingredients list attached) which helps in maintaining good health, healthy skin and hair. After having these set of seven juices, I feel a good detoxification effect, more energy and overall well-being. My favorite among these juices would include Nut Pro, Ever Youth, Pure Defense and Weight Watch. * Different set of juices to tackle different problems. * Cold pressed and nutrient-dense juice full of vitamins and minerals. * No added sugar, flavors or preservatives and 100% raw and gluten-free. * Totally hygienic method of preparation untouched by human hands. * Price is expensive. I would pay Rs.50-75 for a bottle. I wish they reduce the price a little so that more people can enjoy it on a daily basis. Yes, if you can invest in it, I would recommend you to. Availability: You can buy online from here or it is also available at Big Basket, Spar, MK Retail, Natures’ Basket and Foodhall. Or you can contact +919108517927 and place an order. What’s more, mention IBeautySpy and you can avail 5% discount on the pack. 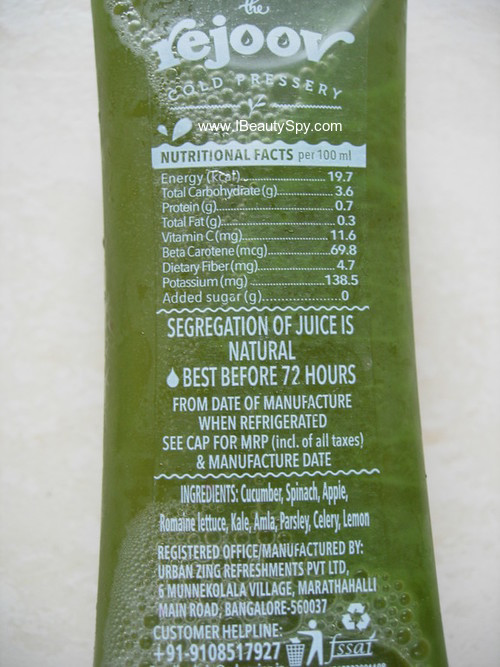 The juices have a shelf life of 72 hours. Be sure to place your order 24 hours before you require delivery. 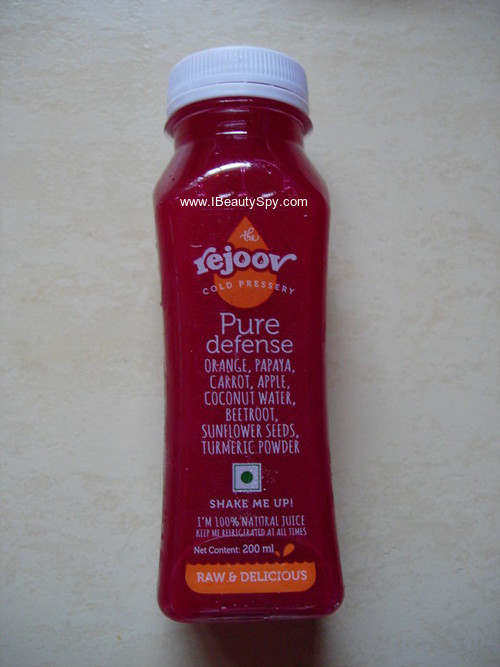 I really enjoyed Rejoov Cold Pressed Juices as am a health fanatic. If you are looking for taste, this is not your cup of tea. This is for those looking to achieve a complete healthy and fit body, healthy, glowing skin and hair. Try this once and see and share your experience in the comments below. P.S Products sent by the brand for consideration. But my opinions and reviews are honest as always. 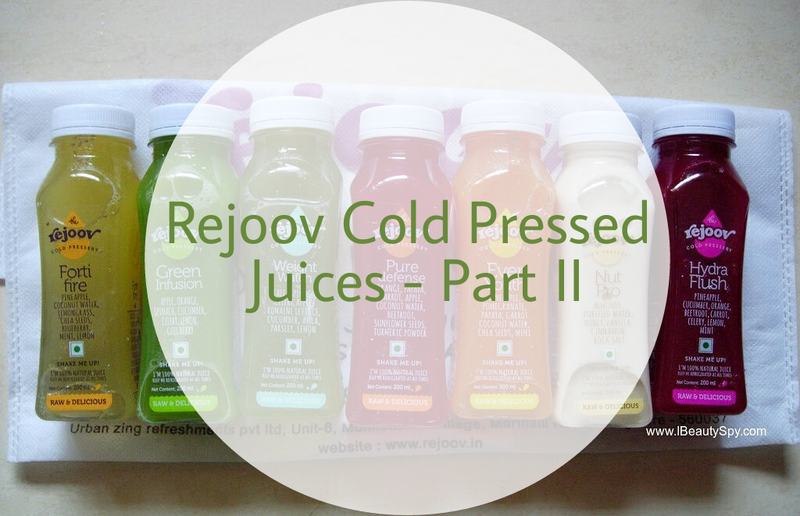 Loved reading the long detailed review of the Rejoov Cold pressed juices.I love drinking juices and I have tried a few cold pressed ones and they taste yumm.Would love to try these one out.Thanks for sharing. These sound really great and after seeing part 2 I’m more excited to try these out..
Love drinking juices. Should try this out.